I teach classes in literature and Creative Writing at Tarrant County College (Southeast Campus) in Arlington, TX! And more! Especially if you e-mail me and let me know what you'd like to see more of. I'm Evelyn Vaughn (that's me above, with my dog Kermit). Welcome to my site for the Grailkeepers. If you're looking for more information on my writing in particular, check out my website at: www.evelynvaughn.com or my less professionally done, personal one, HERE. Grailkeepers, if they truly exist, have only recently begun to receive exposure in a series of novels, Silhouette Bombshells which I am writing as Evelyn Vaughn (see below). Since novels are by definition works of fiction... are there really Grailkeepers? Here's the theory behind them. Once upon a time, thousands of years ago, people worshipped goddesses. Hundreds of goddesses. Thousands! Not surprisingly, in these cultures women were considered just as powerful as men... sometimes moreso! But as time passed and the world became more patriarchal and monotheistic, such worship became downright dangerous. So the women who served as priestesses to their Goddess (many women, many goddesses), hid the proof of their faith, particularly the most important symbol of goddess worship--their cups. Aka HOLY GRAILS (More Than One? Yes-- See below). To guard these sacred relics, women passed their secrets down from generation to generation in the only way that was safe--verbally. They told their daughters stories disguised as fairy tales, stories that nevertheless contained hidden truths about feminine power and goddess worship. In particular, worshippers of each particular goddess created what seemed like children's rhymes, by which their daughters' daughters' daughters could someday rediscover the grails that by now seem to have been lost. A few is all it takes to keep the legacy alive. Especially when any woman, anywhere, could be a Grailkeeper--without even knowing it! GrailKeeper Books, and What's Next? In the first two of these books, comparative mythology professor Maggi learns that not only are the legends her grandmother told her about goddess chalices true, but some very bad men, a secret society called the Comitatus, seem to believe them as well--and are out to destroy the legacy of the grails! 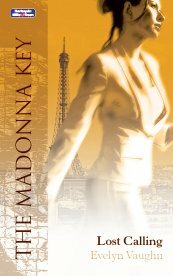 The third Maggi book is also the seventh book of the Madonna Key continuity series. 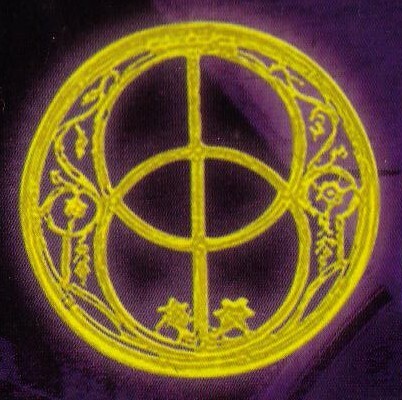 The series ran from July 2006, starting with LOST CALLING which, although it features Catrina Dauvergne & Rhys Pritchard from the previous two GrailKeeper stories, is not a book about grails itself. Books #2-#6 of the Madonna Key are by other authors. 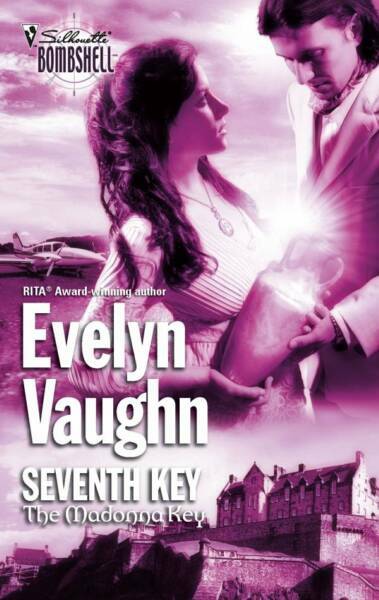 But the 7th book in the series, SEVENTH KEY (available January 2007), has a GrailKeeper subplot. The entire Madonna Key series revolves around the medieval figure of the Black Madonna, who Herself has goddess connections. Click on the individual titles for more information about each book, including cover art, reviews, pictures of the settings, an insight into each featured goddess, and more! I have indeed found a way to weave secret-society Comitatus members into a short-run romance series (talk about your bad boys!) The series is called The BladeKeepers, and will launch June 2009 with Knight in Blue Jeans (formerly titled "The Honorable Thing"). How Can There Be More than One Holy Grail? This is the standard, most accepted legend. In some cases, it is also the cup used to catch Jesus' blood at the crucifixion. Legend holds that Joseph of Aramathea brought the cup to England where it may have been buried near Glastonbury Abbey, where a spring still runs with red water today. That well is called the Chalice Well. 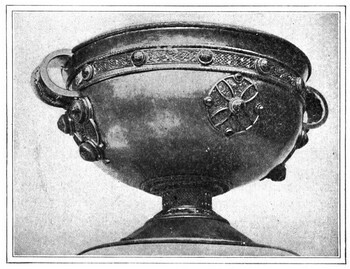 The bowl, cup, or cauldron of the Goddess, in ancient times, was considered a source of magic and rebirth. In particular, check out stories about Cerridwen's cauldron and/or the fascinating work I used for research, Riane Eisler's The Chalice and the Blade. It is possible, since goddess worship predates the birth of Jesus by millennia, that old legends of the goddess cauldrons changed over the centuries into legends that incorporated the story of Jesus and the Last Supper, but kept the magic cup. Clearly, the Grailkeeper stories make a lot of use of this theory! If every goddess had her own bowl or cauldron, that leaves a lot of vessels for feminine empowerment out there! These are the grails that Maggi Sanger and the other Grailkeepers will try to find and protect throughout the series. Perhaps instead of San Greal, or Holy Grail, the word was Sang Real, or Royal Blood? In other words, perhaps the grail isn't a cup at all, but the bloodline of powerful men descended not just through the family of Jesus Christ but beyond them to before the time of King David, all the way back to ancient Sumerian kings? This is the theory put forth by the excellent adventure novel by Dan Brown, The DaVinci Code. It's also put forth by several books I used as references well before DaVinci Code came out, which include Holy Blood, Holy Grail (by Michael Baigent, Richard Leigh, and Henry Lincoln), Bloodline of the Grail Kings, by Laurence Gardner, and Rule by Secrecy, by Jim Marrs. Although the Grailkeeper series is focused mainly on the goddess grails, don't think the possibility of a powerful bloodline isn't a possibility as well. But I'm not saying who has descended from this bloodline--that part, not surprisingly, is secret! Welcome to the website for my GrailKeeper and related books from Silhouette! I hope you enjoy it. Knight in Blue Jeans is coming from Silhouette Romantic Suspense as part of a new series called "The Bladekeepers." The Madonna Key is available in England & Australia! 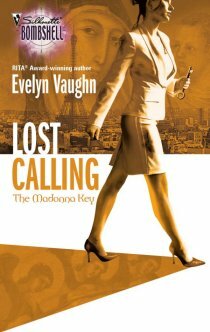 Check out the new cover (below) for Lost Calling! The BladeKeepers is real! Silhouette Romantic Suspense has bought two books from this new series, closely related to the GrailKeepers! The first book, Knight in Blue Jeans, will be available from SRS in June '09. I'm currently finishing the second, Underground Warrior -- watch for more information about it!